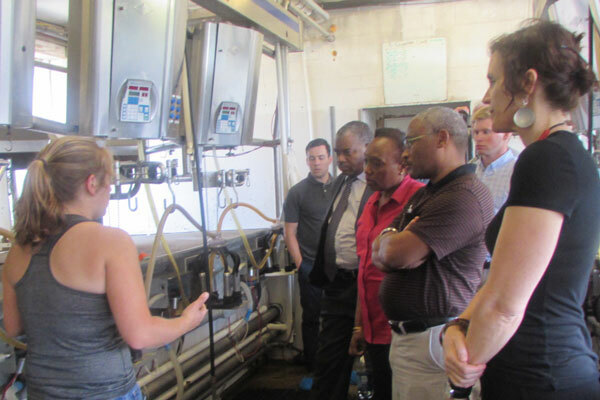 A team of senior leadership members from the University of Dodoma (UDOM) visited Ohio State from June 13 -16. The visit was aimed at strengthening the relationship between OSU and UDOM as well as advancing collaborative efforts between the two institutions. 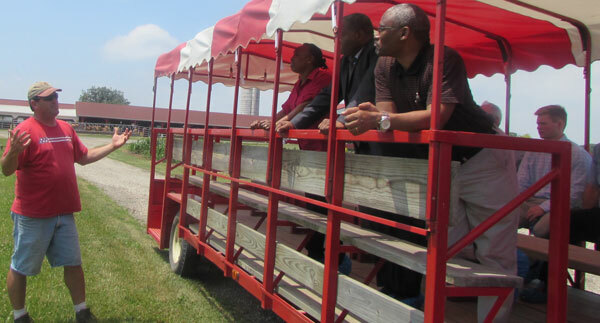 The trip was a follow-up to the visit by the GWI team in April. While at Ohio State the team, led by Professor Shabaan Mlacha, outgoing vice-chancellor for planning, finance and administration, held meetings with the GWI staff, affiliated faculty as well as Ohio State leadership. The UDOM delegates also had a chance to visit the Waterman Agricultural and Natural Resources Laboratory , enCORE solar house and the Food Science and Technology Facilities.